LOIS PHILLIPS, Ph.D., has a broad and varied background in the communications field that includes conference speaking, producing and hosting two TV programs about women’s changing roles, co-hosting DIALOGUES–an NPR radio show on KCLU about current issues — and coaching managers and leaders in presentation and media skills. 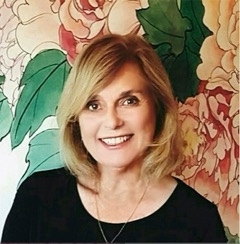 Dr. Phillips was the founding Executive Director of Antioch University Santa Barbara where she worked for 11 years, and later developed a management consulting and strategic planning firm, working primarily with college and university executives (See Testimonials). Dr. Phillips leads training seminars and planning retreats, and provides coaching services to executives who wish to communicate more effectively with stakeholders and the press. Dr. Phillips delivers customized keynote conference presentations and is available for media interviews on the subject of leadership. She has also taught classes for UCSB Extension on a range of Communication subjects, including a series of corporate workshops titled “Creating a Culture of Innovation.” Dr. Phillips earned her BA in Speech Communication from Queens College, an MA in Humanistic Psychology from UMass/Amherst, and her Ph.D. in Education from UCSB.